The goal, when selling your home, is to sell as quickly as you can (to avoid another mortgage payment and other carrying expenses such as utilities) and to sell for the most amount of money, right? If this seems like an overwhelming task, take comfort in knowing you’re not alone. Most home sellers experience a bit of anxiety when thinking about selling their home. It’s a big undertaking and usually one that most homeowners do every 4–7 years. So it’s no wonder it’s easy to feel a bit lost like you don’t know how to prepare for sale, how to price your home and what to expect — especially with ever changing laws and regulations. If you can relate to this situation, you’re right where you belong. Nestiny can help introduce you to the perfect Real Estate Agent for you that cares about your goals and needs. Having an expert by your side will not only ensure that you are prepared for all that selling a home entails, but that you will have someone experienced enough to help effectively price your home and negotiate your home’s sale for top dollar. After all, your home is likely your largest financial asset so it’s worth taking the right steps to have a great financial outcome and a more pleasant selling experience. Once you’ve hired a great Real Estate Agent to help you, your home is priced right and you begin to receive offers… now what? Once you receive an offer, you have several choices. Your Real Estate Agent can best help you navigate the negotiation process and they act on your behalf and ensure the proper contract procedures are being followed. You can accept the offer as is, and make no changes. Or, you can make some changes and send it back as a counter-offer until an agreement is made. Keep in mind until the buyer signs the contract, your counter-offer has now opened them up to changing their mind and walking away. But—what type of offers will you receive? Everyone is trying to find a deal, right? But how do you handle it if you are on the other end (the losing end in your mind) of someone trying to make a deal? In a bustling seller’s market, it is rare to receive extremely low offers, but in a slow market, it could happen. How will you respond? Would you get offended if the offer was way too low? Or would you use this as an opportunity to negotiate with the buyer until you can agree on an acceptable price and terms? If the offer is less than you wanted, keep reading. It is important to read the entire offer, not just the offer price. Sometimes the offer price may be low, but they offer excellent terms. Also look at the possession and financing terms as well. Are they paying closing costs? It should all factor into your decision. And if, after reviewing the entire offer, it isn’t where you need it to be, let this be the beginning of a possibly successful negotiation process. Always remember that time on the market is also an expense due to carrying costs. So if the offer was close to what you were asking, consider the whole picture. But if you feel uncomfortable even entertaining a very low offer, simply thank them for their offer, and let them know you will not be able to agree to it. That puts it back in their hands to come back with a higher offer. It never hurts to ask for their reasoning behind their offer, either. You may learn something about your home. If your house has been on the market for more than 30 days with no offer or very few showings, it may just be time to reconsider your asking price or make some changes to your home. Congratulations! If you receive an offer that is exactly what you had your home listed for, you did a great job of pricing your home! It doesn’t mean you priced it too low, or that you should wait until a higher offer comes in. You did your research and figured the perfect price for your home. High Five! The first 30 days of your home being listed are the most crucial! During this time, buyers in the market will jump quickly for your home if your home shows well and is priced right. Remember, first impressions of your home count. 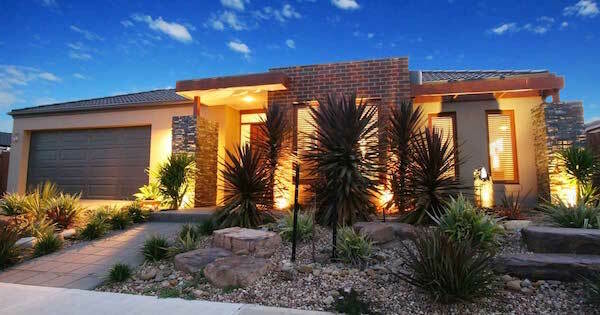 The best listings sell the quickest. 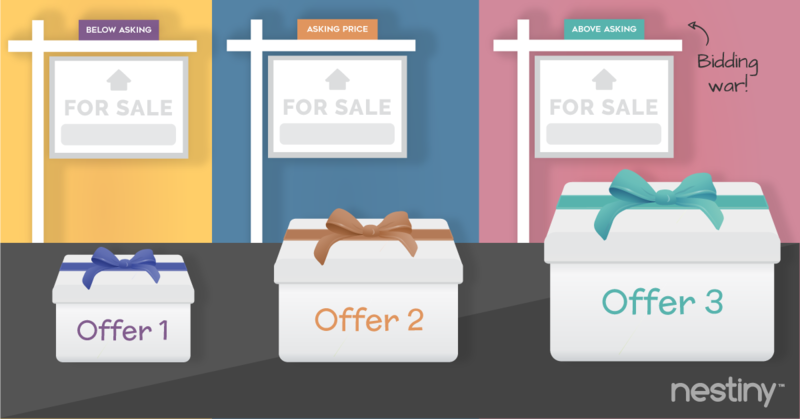 New listings that are well priced sometimes create a situation where the seller receives multiple offers. Let each buyer know that you have received more than one offer. 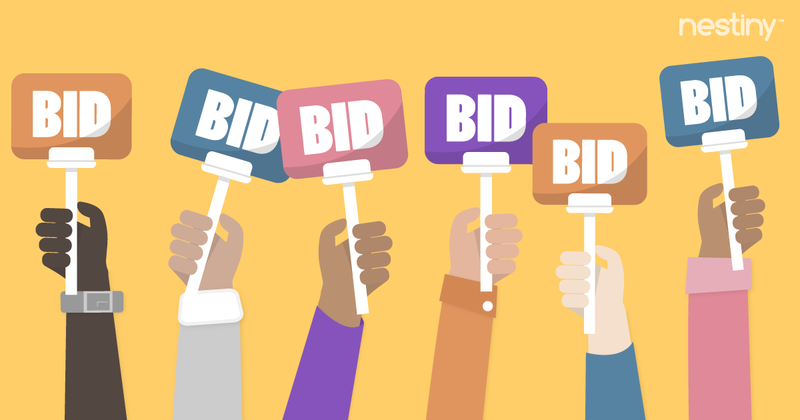 Some will choose not to participate in this bidding war and will walk away. That’s ok. Focus on the buyers still engaged. Give a deadline. You should consider at least several days to give the buyers time to think about what they will offer. Ask each buyer to submit their highest and best offer to you, in writing of course. Some will write letters explaining why they want your home or offer a treat. Some will bid way more than their means, then have buyer’s remorse and back out of the contract. So, make sure you gather as much information as you can about the buyers so that you can make the best decision possible. On the date given as the deadline, review each offer and determine which offer is best for you and your situation. Review the terms, and consider every aspect of the offer, and the stability of each buyer. Only negotiate with one buyer at a time, starting with the buyer with the strongest offer that best meets your needs. But, don’t take too long to respond, because you could end up losing all buyers! Accept the offer that works best for you. If no offer works for you, counteroffer the buyer with the most potential to meet your goal — CLOSING ON YOUR HOME. Once you’ve decided on the best deal, contact all buyers who submitted offers, and let them each know that you have accepted another offer. Do not disclose any details, because until it closes, anything can happen. And ask if they would like you to hold their offer as a back-up just in case. Once you sign the agreement, it becomes a binding contract, so make sure you ask the right questions before making a final decision. 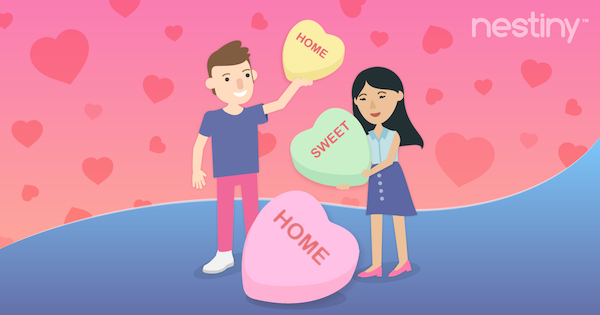 Once you go under contract, your home comes off the market for any other buyers, so be sure situations are right to meet your goal of making it to closing. Ask the buyer how they intend on paying for your home. If they are utilizing a mortgage, are they preapproved? Ask for their preapproval letter from the lender. Also make sure their lender verified funds for earnest money deposit, down payment, and closing costs. If the buyer offered a cash price, ask for proof of funds (usually in the form of a letter). If given the choice, cash buyers always close faster and with less issue but verify the source of the proof of funds carefully. Does the buyer have a home to sell? If they do, you should determine if this is something you want to deal with. This could cause delay in the closing of your home if they must wait until their home sells. Be mindful of these types of contingencies. Contingencies are extra requirements that need to be fulfilled to execute the contract, so be clear of all contingency clauses. If their home doesn’t sell, they could back out of the contract and you’ve lost valuable marketing time. Contingency clauses can be tricky, so it’s a good idea to get some expert advice preferably from your agent on the best way to navigate these as each scenario is unique. What type of inspections will the buyer order? (Full home, radon, termite, oil, water/septic) Is there enough time to perform their inspection requests during the inspection period or will this hold up closing? When would the buyer need to occupy the home, and does this fall in line with when you need to be out? Does the buyer have timing demands? Will they occupy the home, or will they rent it out? Will their intended purpose be granted by the city, county and state rules and regulations and the lender? If not, it may draw out closing. Are they flexible with the closing date? This is important if you need to find a place to move. If they are flexible and you need more time, are they willing to do a rent-back after closing (which is typically at the rate of the new owner’s mortgage payment, but always negotiable)? This would be much preferred over an extension in closing, because you never know what could happen. It isn’t sold until the documents are signed at closing. Ask to make sure the buyer agrees to all seller disclosures, and you will want to disclose everything, of course. Likewise, make sure you look over all terms, conditions, and provisions in the agreement before signing it. What are they asking to stay in the home? Make sure the contract is clear about who will be responsible for what throughout the entire process, until closing. Set your expectations realistically on how the process will go, and focus on the goal — to get your home sold for the highest price and in the least amount of time. For more expert advice on selling your home, continue browsing Funiversity for helpful tips to save you time, money and stress! 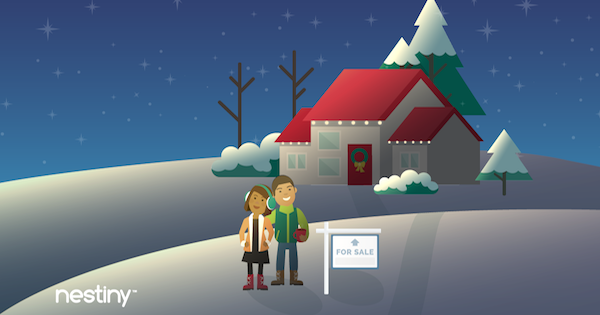 Should you sell your home in the winter?